Home » Florence Nightingale Museum Ticket for 2 – Family Option! 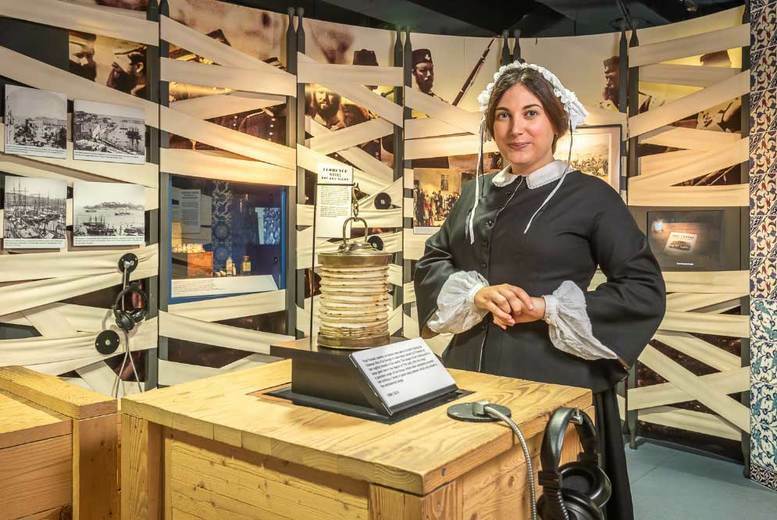 Brush up on your history with two adult tickets to the Florence Nightingale Museum. Or bring the kids with a family ticket valid for two adults and up to four children – and better yet, under-5s go free! Celebrate the life and work of the best known figure in nursing history and learn about how she helped soldiers in the Crimean War and became known as the ‘Lady with the Lamp’. View an exciting array of nursing artefacts and items relating to the Crimean War, enjoy a daily highlights tour at 3.30pm, and meet Miss Nightingale every last Saturday of the month! Perfect learning experience for nurses or those interested in health! Located a stone’s throw from the River Thames, just opposite the Houses of Parliament – open seven days a week, including half term, 10am-5pm (last admission 4.30pm).